I have been making this for over a year now. My family loves it. Place eggs and cracker crumbs in two separate shallow bowls. Mix cracker crumbs with garlic salt and pepper. Dip chicken in the eggs, then dredge in the crumb mixture to coat. 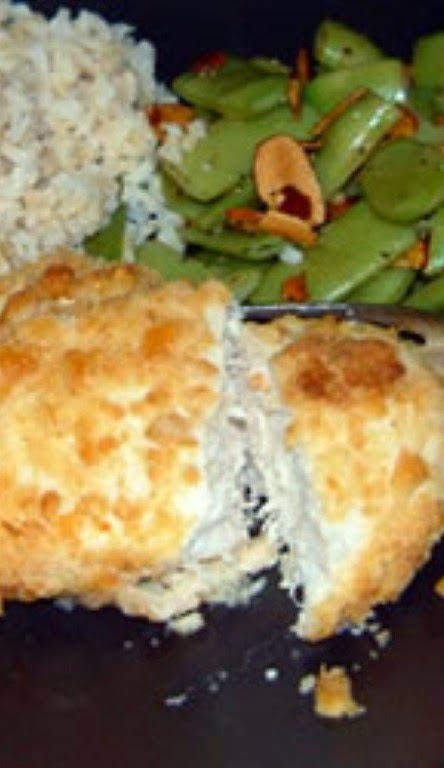 Arrange coated chicken in a 9x13 inch baking dish. Place pieces of butter around the chicken. Bake in the preheated oven for 40 minutes, or until chicken is no longer pink and juices run clear.